For the meantime, like a Dutch boy patiently plugging a sea wall, I have Screaming Beans to tide me over. Thanks to a few thoughtful family members visiting Amsterdam, they were able to grab me a bag of Screaming Beans' Tanzania Kilamanjaro Machare Estate on their last day to bring into my waiting arms but 30 hours later. 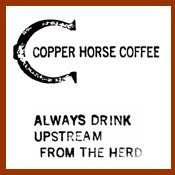 Over the next few days, I devoured the coffee through pourover, french press and siphon infusions. 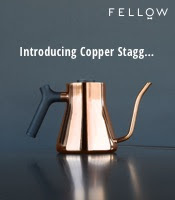 The pourover delivered sweet notes of chocolate, shredded wheat, nectarine, dates and almond milk within a medium body. The french press sang of shredded wheat, caramel, dates, clementines, brazil nus and some milk, proving sweet and sultry with a slight wheaty aftertaste. The siphon made for a coffee brimming with wheat, cocoa, almond milk, dates, raisin and a little nutmeg. Quite pleased with this mild yet consistently sweet African coffee, I can add this pleasant experience with Screaming Beans to keep my Dutch travel aspirations alive. 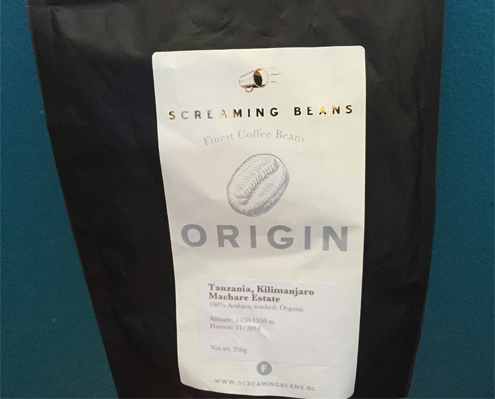 Whether you're wandering the streets of Amsterdam or looking for a coffee from Dutch hands, check out some of the offerings from Screaming Beans. note: coffee was provided somewhat free of charge and the above review is objective feedback.